Bo Widerberg seems destined to remain an obscure filmmaker, which is a crying shame if The Ballad Of Joe Hill is anything to go by. Carving out something of a niche in beautiful impressionistic dramas depicting earnest subject matters, Widerberg sealed his artistic reputation on the festival circuit with Elvira Madigan (1967), about two lovers in a suicide pact, and Adalen 31 (1969), about a 1931 industrial strike that ends in tragedy, both films based on real-life events. Whilst Ingmar Bergman was leading the way with Swedish dramas geared upwards towards man’s relationship with life, death and religion, Widerberg preferred to direct his issues sideways at man’s place within society and his perpetual social conflicts. As Widerberg stated in his book A Vision Of Swedish Cinema, “Nor me or my friends saw very much in [Bergman] … We didn’t find the issues of god’s existence that damn important”. There’s no better example of Widerberg’s more socially conscious approach than his 1971 retelling of the life of legendary Swedish political activist and songwriter Joe Hill. The film opens with Joe Hill’s arrival in New York as an emigrant in 1902, details his move to the west coast and his involvement with the Industrial Workers of the World movement, and ends with his controversial trial for murder and subsequent execution (I wouldn’t say these are spoilers in any way since the life and death of Joe Hill is well documented). The delicate recreation of the period is meticulous and absorbing, with the slightly muddied Eastmancolor adding an almost sepia hue to the photography, but also a harsher realism befitting the story’s bleak conditions. Presenting a distanced outsider’s view of a transitional period in American history, Widerberg unashamedly romanticizes (some would say rightly extols) the important role played by defiant immigrant workers in shaping a modern democratic USA. Widerberg’s detailed poetic touch notwithstanding, Thommy Berggren’s wonderfully commanding performance as Joe Hill is crucial to the film’s dramatic success. Berggren imbues the role with impassioned joy and fearless tenacity, roaming the land as a prophetic figure determined to alter the social landscape, making his ultimate fate all the more tragic. 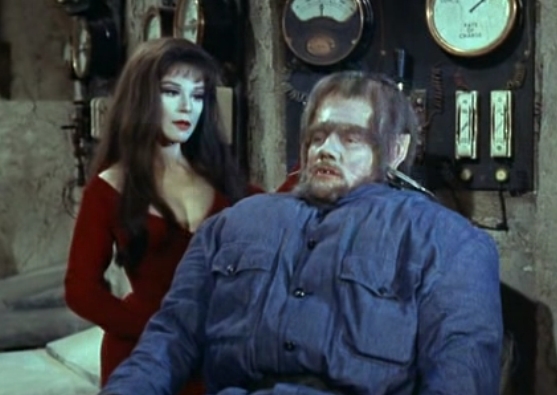 In early scenes, Hill becomes enamoured with the muffled sound of opera heard with his ear up against the back wall of the Metropolitan Opera House. Listening with him is the equally penniless Lucia (Anja Schmidt), whose fate is to end up as mistress to the lead Tenor after being discovered at the back door and invited inside, thereby immediately rising to the top social echelon. Hill meanwhile has no such luck (or maybe it was Lucia who really missed out? ), making his way across America hidden on the underside of trains and swinging from one hazardous and underpaid job to another. 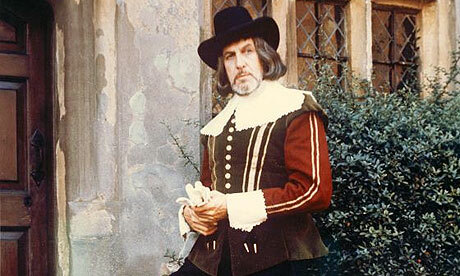 In one memorable scene, Hill stands alone singing his self-penned ‘Pie in The Sky’ (a phrase originated by Hill) against the sound of a Salvation Army hymn, gradually commanding a large appreciative audience. The film is peppered with well-rounded and engaging supporting characters, notably a plucky young street urchin and a kindly nomadic old-timer, both of whom are vital in setting Hill off on his mission to galvanize the working class through speeches and songs. 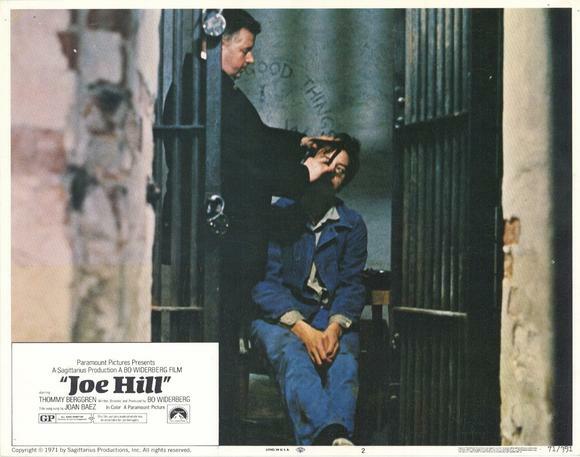 The closing sequences of Hill’s imprisonment and ultimate execution have a lingering dramatic potency. A thorough and unflinching portrayal of capital punishment, Hill’s struggle to remove his blind fold only to discover his assassins hiding behind a dark canvas, their rifles peeking through small cut-out holes, perfectly conveys the state’s own guilt and hypocrisy in their treatment of political activists. 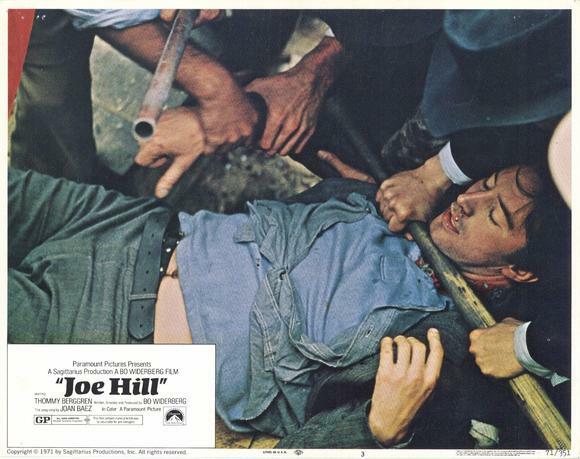 Joe Hill’s death is even shown to be doubly sacrificial, strengthening the labourer’s cause with infamous martyrdom as well as protecting the reputation of a married woman who could have provided his alibi. Widerberg marks the scenes with several striking visual moments, such as Hill’s beautiful pastel drawing of California on his cell floor being scrubbed away with a mop. The whole sequence is the most powerful and emotive depiction of state murder until Krsysztof Kieslowski’s far grimmer A Short Film About Killing (1988). After his death, as folklore has it, Hill’s ashes were sent in envelopes to every IWW local, in the hope that they would be scattered and encourage his influence to grow. 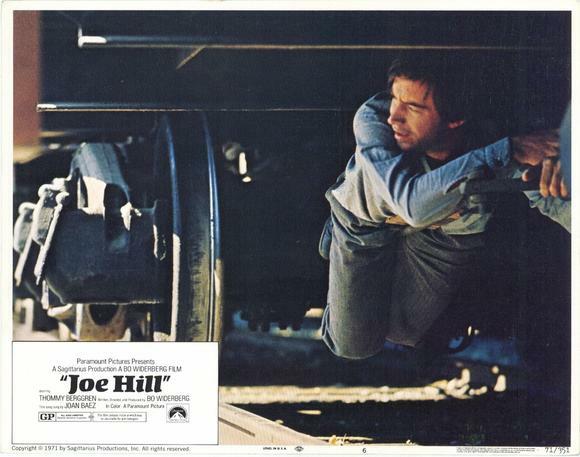 The film concludes with the envelopes being sent and a reading of the singer’s final written words: “Perhaps some fading flower then/Would come to life and bloom again/This is my Last and final Will/Good Luck to All of you, Joe Hill“. 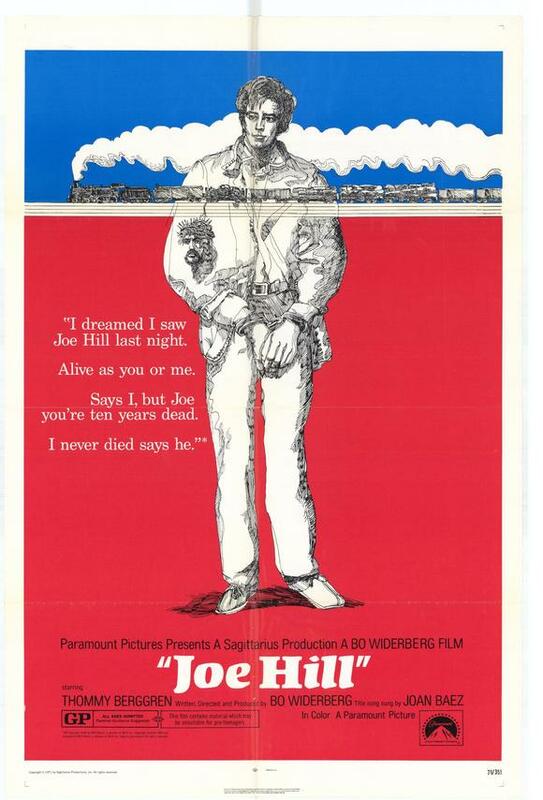 The Ballad Of Joe Hill is strong fictionalised romanticism from a clearly masterful filmmaker. Just as Kevin Brownlow and Andrew Mollo’s Winstanley (1975), a similarly powerful tale of historical social turbulence, received a trumpeted re-release in 2008, one can only hope that the work of Bo Widerberg and The Ballad Of Joe Hill in particular can benefit from a much-needed reappraisal. But until then it remains a buried gem.